At this year’s Health & Safety Event at the NEC in Birmingham, Evac+Chair International found that 68% of surveyed visitors were aware of who is responsible for evacuating a building in an emergency. Almost 70% of people questioned knew that the Regulatory Reform (fire safety) Order (RRO) states the ‘Responsible Person’ – usually the business owner – should ensure employees are evacuated safely out of a building. Surveying visitors about diversity and inclusion in their workplaces, Evac+Chair also found that over 60% of people believe their place of employment did consider the modern, diverse workforce when evacuation planning. However, the poll also found disappointing results. 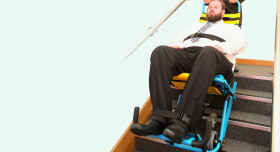 30% of health professionals at the show believed their workplace had no means of escape for people with mobility difficulties whilst only 23% of people surveyed had experienced an evacuation drill in the recommended last six months and 32% of people questioned believed their evacuation equipment is not being used correctly. By law, under the Fire Precautions (Workplace) Regulations 1997, it is the responsibility of the ‘Responsible Person’ to ensure all workers are safely evacuated in the case of an emergency. That usually means the business owner not the Fire Service or the building owner. 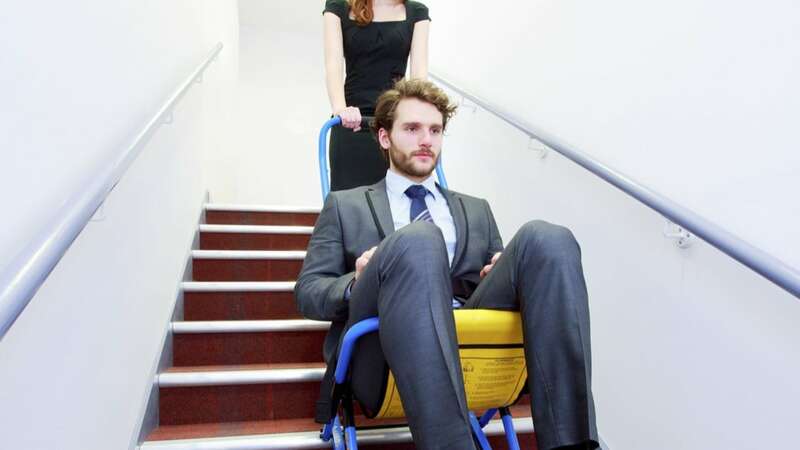 Fire risk assessments must therefore consider anyone for whom mobility issues mean that they rely on a lift to move up and down a building. Some of the structural means of escape, including fire stairs, are clearly inappropriate for the mobility impaired. Therefore, the provision of evacuation equipment, such as evac chairs, are vital. Evac+Chair International is the world’s leading supplier and original manufacturer of evacuation chairs. 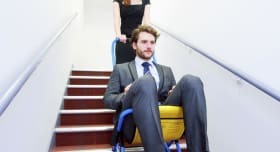 Each model is designed to help mobility-impaired people descend a staircase in an emergency without the operator needing to lift or have great physical strength. With over 20 years’ experience, Evac+Chair International ensures customers comply fully with health and safety regulations ranging from providing products and deployment to specific training and regular maintenance.